How lovely would it be if the idea of a school shooting was only known as science fiction? Instead, in America, it is a subject ripe with fictional opportunities, thanks to the power of the NRA, who believe the Second Amendment, written to apply to muskets, should also apply to assault weapons so people can have access to as many guns as they want. An important subject, but not one I seek out in my fiction. 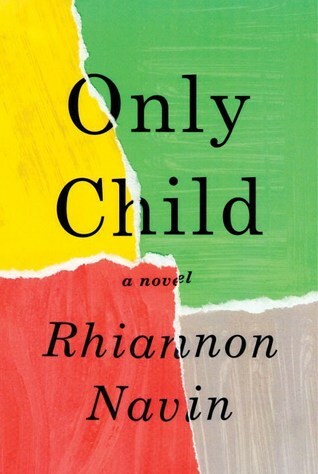 Not until I was in my local library and saw Only Child, Rhiannon Navin’s debut novel and decided to give it a try. The story is of a mass shooting at an elementary school 6-year-old Zach Taylor and his 10-year-old brother Andy attend. Zach survives. Andy is one of the 19 who does not. Navin tells the story solely in Zach’s voice and while there have been other school shooting novels and there are likely to be more, none will ever speak to readers in the way this novel does. Only Child opens with Zach and his classmates crouched in a small closet with their teacher, Miss Russell. He wants to cry, throw up, and pee, but to keep himself from doing any of those he counts. Counts the popping sounds he hears outside and knows to be the gunman. After the incident and his reunion with his parents, the nightmare continues when they discover that Andy is one of the dead. From this point on, Zach is caught in a tornado of conflicting emotions, starting with Andy’s funeral. Andy, who was really mean to him all the time. Who had a “bad temper” and made his mother cry and his parents fight. I thought about Daddy’s speech, and I watched Mommy and everyone else cry, and it didn’t feel like real life. Because Daddy did it, too: he didn’t talk about Andy like how he actually was. And so it was like everyone was crying and being sad, but not about the actual Andy, just a version of him that wasn’t the right one. It isn’t just his feelings about Andy that are confusing. There is what happens to all the adults around him, most especially his mother who doesn’t seem to care about him anymore, but is only interested in getting on TV to talk about justice and how the shooter’s parents are responsible and have to pay for what their dead son did. He tries retreating into Andy’s closet, a place he would never have been allowed in if Andy were alive, but where he can feel his feelings and try to find a way to make his family happy again. It is his safe space away from yelling grown-ups, crying, and a world he doesn’t understand. Only Child is remarkable for Navin’s ability to inhabit Zach, to never exit the mind of a 6-year-old for the comparative safety of adult rationalization, denial, and obfuscation. His biggest fears are not throwing up in front of people when he’s scared and angry people. In short, he is a sweet, quiet, little boy and Navin reminds us, in every sentence, just how mystifying the grown-up world is to a child. There is no grown-up perspective in Only Child. Everything is seen from being small—small enough to go unnoticed, to hear things you shouldn’t, and to see things no one else does. The ability to see and hear what adults may not is poignantly offset by the inability to fully understand those things. The adults act throughout the story, but a child’s interpretation of those actions is eye-opening. This novel provides deprivation tank levels of immersion. Regardless of where you are or what’s going on around you, you won’t notice while reading Only Child. From the opening scene, Navin thrusts us into Zach’s mind, where the very real possibility of wetting his pants is more frightening than the vague idea of being shot dead. Because his vantage point is the only one, things an adult might not think twice about are huge. It creates a low level of tension that never lets up—which may be the most important point in the novel. Zach’s perspective is a small one, but Navin uses it to carry out a big message about the massive damage gun violence inflicts on all of us. i will have to get my hands on a copy…. It is very very good. I loved it. I’m number 5 on 4 books on a library hold for Only Child, so hopefully it will come in this week. I just skimmed your review not wanting to know too much about this book, but based on your glowing recommendation, I’m very excited to read it. Wow, this sounds amazing, Catherine! What a wonderfully written review. I will definitely be reading this, and soon, I hope, though it sounds like one I’ll need to prepare myself for. I have a six-year-old and the fear of this type of incident crosses my mind more than it probably should, and I’ve struggled with how or whether to even broach the subject with her. I like that this is from the perspective of a young child. As I was reading I wondered how a parent of a young child would feel. If it helps, the majority of the book is about the rifts and problems that occur within his family, as well as how he tries to deal with everything. It’s quite touching.